The good thing was that there was wall to wall coverage available. The bad thing? Let’s see. There was ESPN, The Tennis Channel and, of course, NBC, all promising coverage at various times and places. Of course you had to add in all the live-streaming from the internet. Frankly, it became a nightmare, trying to figure out where to watch. 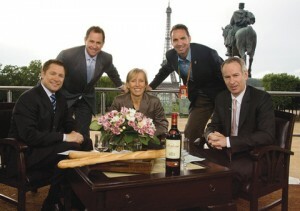 Then, too, there are some tennis commentators I can listen to and enjoy. These include ex-pros like John McEnroe who did double duty for NBC and the Tennis Channel, Lindsay Davenport and Rennae Stubbs for the Tennis Channel and Chris Evert and Darren Cahill for ESPN. They spoke with authority but humbly and without bravado. I believed them. I think they knew what they were talking about as students and former players on the pro tour. Commentators who tell us what we are watching. Some commentators, which I will not list here because of my innate Midwestern politeness, made me turn off the sound. I would sooner draw my own conclusions, having watched the sport for over 20 years. I do not care to be bludgeoned with canned commentary and off-the cuff predictions. Television has unnecessarily altered the game. 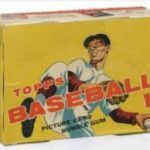 The organizers bend to the wishes of television to benefit the network preferences rather than benefit the players or sometimes the fans sitting in the stands. Such is the nature of all sports in this day and age where money often talks too loud. Sharapova shrieked herself all the way to the 2012 French Open final. The alleged grunting and squealing of some players is annoying—and let’s face it—a match between Maria Sharapova and Victoria Azarenka could send you into a decompression chamber to regain your equilibrium. But here is a thought. Television, in fact any video medium, has filters that could possibly eliminate sounds above a certain decibel. So rather than commentators complaining endlessly about the grunting of players and the WTA’s inability to enforce a non-grunting policy, why don’t they simply eliminate it? Could it be that grunting is worth more as a talking point than any other options available? Additionally, with such a filter in place, viewers could decide whether or not to deaden the squeals, grunts and groans. Some of us, however, do not detest the squeals. It becomes background noise after a certain point. John Isner did not survive this fifth set marathon in Paris. Once there were many more ATP tournaments with five-set formats. For example, all of the Masters tournaments in the recent past required a five-set final. 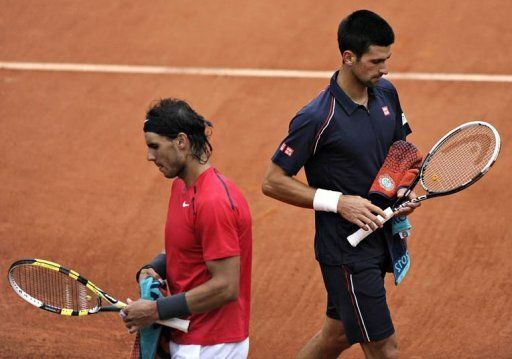 As tennis advanced deep into the television era, players continued to grow stronger and faster—better able to endure. Soon rules extending the length of matches became detrimental—for both the networks and the players primarily because of televised time-limits and a crowded ATP calendar. 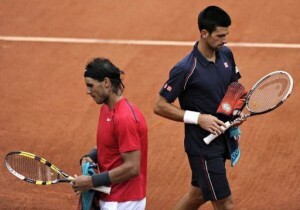 Currently the five-set format has been reduced to include only the four major Grand Slam tournaments and the Davis Cup. Playing and winning a five-set match can be a real test of endurance for those players who need to win three out of five sets in a match. This is true especially when the competitor stretches the player into a five-set showdown, extending the match beyond the usual six or seven game limit. After the Nicolas Mahut-John Isner Wimbledon first round Wimbledon match in 2010 that extended over three days, ending finally with Isner winning 6-4, 3-6, 6-7, 7-6, 70-68, many decried the practice of allowing for no tie-break in the fifth set. John Isner found himself in similar straits at this year’s French Open. 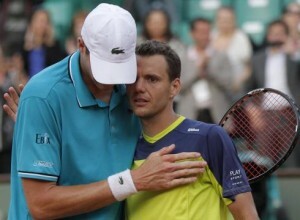 Isner became embroiled in another five set epic, this time against Frenchman Paul Henri Mathieu. Unfortunately for Isner, this time the American lost to the hometown favorite Mathieu 6-7, 6-4, 6-4, 3-6, 18-16. The match lasted over five and a half hours—which is not good for the loser or even the winner who must try to recompose himself for another match with one day of rest. There is always something to be said for tradition but this one needs to be put to bed, forever. With tiebreaks allowed in every other set, not allowing one in the fifth and final set seems ridiculous. It is time to move on and give those players with packed schedules a break. Currently, the U.S. Open is the only major that allows a the fifth set tiebreak. It is time for the other majors to get on board and make a change that will benefit the game and the players. Caroline Wozniacki did not sway the umpire in this line call dispute. If you build it, they will use it—except at the French Open. With Hawkeye technology available, why not allow the players the right to utilize it even on clay if they are not satisfied with the umpire’s ruling on a call? You see, on clay, the ball leaves a clear mark which is visible to the human eye. So on a disputed call, the player asks the umpire to come down to view the mark up close and personal which is sufficient the majority of the time. But what if the umpire cannot read the mark properly because of multiple ball strikes in the dirt or what if he or she views the wrong mark. In this case, why not allow Hawkeye the final word so that both players are satisfied that the ruling has been a proper one. Granted, over 90 percent of the time, Hawkeye would be unnecessary in Paris but since the technology is readily available, it should be used to settle disputes. A case in point—former world No. 1 Caroline Wozniacki grew incensed on court when umpire Poncho Ayala refused to overrule a call on a ball that she felt was clearly out. Wozniacki went on to lose her third round match with Kaia Kanepi. She could never shake the feeling and the subsequent anger she felt at this alleged injustice. Why not allow the final determination to come from Hawkeye? It just seems reasonable and appropriate since the technology’s use is established at the other major venues. 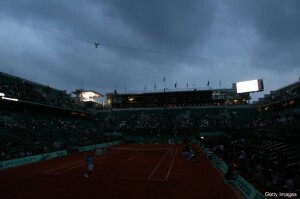 Hard to see when there are no lights on Court Phillippe Chatrier. How many times do we have to watch players trying to see the ball, let alone hit it when darkness has descended? There is no longer room for grand slam center courts without lights. Recently at this year’s French Open, John Isner, in his epic five-setter with Frenchman Paul Henri Mathieu, had to fight the crowd, fatigue and the failing light on Court Phillippe Chatrier. He lost them all. Attention to this short-coming occurred during a second round match between Frenchman Gael Monfils and Italian Fabio Fognini on Court Phillippe Chatrier in 2010. Each player had won two sets and the two were deadlocked at 4-4 in the fifth set as darkness engulfed the court. Fognini wanted to stop play but Monfils wished to continue. The ensuing debate only made the darkness deeper. In the end, Monfils and the French crowd got their way and play continued under protest by Fognini. Television commentators remarked that continuing play under these conditions was ridiculous. Ultimately, the players continued to 5-5 and then had to quit for the day, the match unresolved. There are many similar stories to be told highlighting the need for lights at the French Open which continues to be the only major venue without lights. Wimbledon, under great fanfare, opened their new Centre Court in 2009 which also features a retractable roof. Niether rain nor darkness will stop play on the main court at the All-England Club which joined the Australian Open which can also make such a claim. 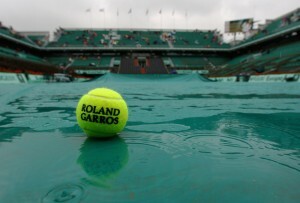 The French Open must find a way to add lights so that matches will not be played in darkness….